Microgrids serve the greater good – and they are attracting serious business. That’s the message nearly 400 industry leaders and experts will hear over the next three days in Chicago, where they will gather for Microgrid 2018. Microgrid Knowledge, event host, chose Illinois for the event because it is an epicenter of microgrid innovation. Chicago soon will become home to the first utility microgrid cluster, with development of the Bronzeville Microgrid by Commonwealth Edison. The utility will connect or ‘cluster’ its microgrid with another operated by the Illinois Institute of Technology. Clustered, the microgrids will be able to achieve great efficiencies than if they act singularly. Illinois is also home to a microgrid developed by Ameren, which is being touted for achieving cybersecurity and technological feats no others yet have. 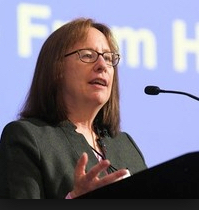 Wood praised the foresight shown by the state of Illinois in supporting microgrid projects. But she said such awareness is not present everywhere. Groups critical of microgrids have described them as “gold-plated technology”– a premium service for the few. Microgrids do this by providing services to the central electric grid when they are not needed by their hosts for backup power. Since power outages occur infrequently, microgrids are often at the ready to supply energy or offer services to improve flow of power on the central grid. “Consider community microgrids during storms. The grid goes down, and hospitals, 911, police, water treatment — everything that relies on electricity — which is pretty much everything — is gone, for days, sometimes weeks, or months, as in Puerto Rico. But not if there is a community microgrid,” she said. In addition, Wood noted the important role microgrids play as the U.S. grid faces cybersecurity threats. Being held at the Loews Chicago O’Hare, May 7-9, Microgrid 2018 includes a selection of nearly 30 lively panel discussions and informative presentations on a range of microgrid topics, from utility business models to blockchain to monetizing resiliency. 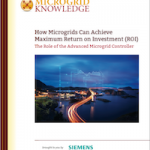 For more information, contact Kevin Normandeau, publisher of Microgrid Knowledge: Kevin@MicrogridKnowledge.com (508)259-8570. This article is available for reproduction without permission.